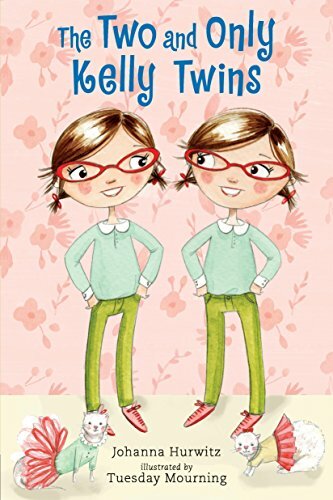 Johanna Hurwitz invites readers into the world of the funny, lovable Kelly twins, who are truly two of a kind. Second-graders Arlene and Ilene Kelly are twins — identical twins to be exact — and they love being a pair. They love to dress alike, they have identical pet ferrets, and they do everything together. But being a twin is not always easy. 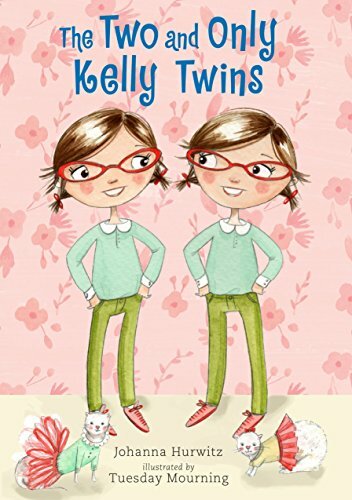 When a set of triplets comes to school, Arlene and Ilene wonder whether triplets are more special than twins. At Halloween, on different streets in identical witch costumes, some neighbors think that the girls are one person trying to get extra candy. And when Arlene gets sick and has to visit the hospital, the twins each find out what it’s like to be one instead of two. But whether they’re together or apart, Arlene and Ilene know they’re lucky to have each other. Johanna Hurwitz is a former children’s librarian and the award-winning author of more than sixty books for children, including four books about Arlene and Ilene’s friend Monty, who lives on their street. Johanna Hurwitz divides her time between Great Neck, New York, and Wilmington, Vermont. Tuesday Mourning is the illustrator of numerous chapter-book covers and is currently working on picture books. This is her first book with Candlewick Press. She lives in Utah. No matter the predicament, Hurwitz interjects both humor and warmth. Accompanied by illustrations as playful as Arlene and Ilene, this chapter book is a t-winning choice for transitional readers who have graduated from Grace Lin’s Ling & Ting early readers and enjoyed Hurwitz’s previous titles. [A] a natural step up from Grace Lin’s Ling & Ting books. Hurwitz is remarkably gifted at composing kidspecific narratives with ease and grace, and the chapters read more like short stories than successive components of a novel. Warmth and humor pervade the stories, which simply written and yet subtle in their presentation of the girls’ experiences. With spot art every few pages, the story should appeal to early chapter-book readers. The sisters are mischievous, but loving, and young readers won’t have any trouble keeping up with their escapades. With Mourning’s whimsical, pencil drawings and Hurwitz’s short chapters, this book will offer young readers an opportunity to delve into reading novels. It’s a sweet and touching tale of siblings and their relationship with each other.